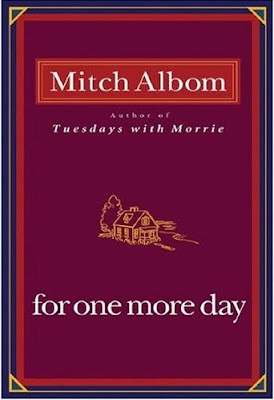 For whoever who read Albom's book before should already knows that he has a unique way of writing, it's not a surprise that all his book being adapted to a movie (Tuesday With Morrie & The Five People You Meet In Heaven). 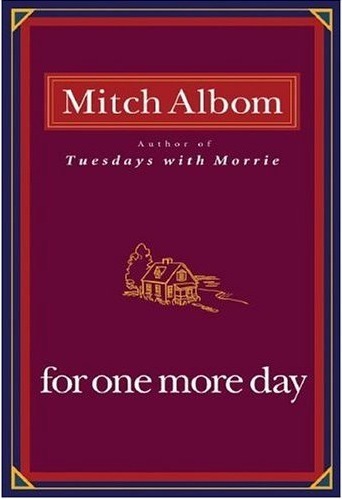 Last week I just finished reading his book "For One More Day". Really an inspiring story about how people might react to the chance to have a dead relative back for a day and in this case; the mother. The book tells the story of Charley “Chick” Benetto, a former baseball player who encounters myriad problems with his career, finances, family and alcohol abuse. When everything seems not working for him, he choose to turn his back on the world and it reaches the line when his daughter refuse to invite him for her wedding, which he decided to become suicidal, Charley goes on a drunken rampage and decides he is going to end his life in his old home town, but when he misses the exit, he turns around driving down the wrong side of the highway causing an accident, Charley flees to his old home, and surprisingly he met someone who he didnt expect, his mother who died 8 years ago. The journey begins with a son trying to understand his mother's life, what she ever did to him and his sister, how she managed their life without a father (his father left them for another woman) and how he; being a guy have to choose between being a momma boy or a father's son. And it's really emotional when he wrote down a list of time his mother stood up for him and the time he didnt stand up for his mother. In the end of the story, his mother help him to get back on track and enlighten him what life is about and how to correct the situation with his wrecked family. He wakes up at the accident place and start a new life correcting his mistakes. For those who really have issues with their parents, should really read this. We as children sometimes dont know what our parents went through just to make sure that we have a life. but one thing for sure that without their stories, we dont have ours.
" there's a story behind everything. How a picture got on a wall. How a scar got on your face. Sometimes the stories are simple, and sometimes they are hard and heartbreaking. But behind all your stories is always your mother's story, because hers is where yours begin."